Onamae provides domain registration and transfer services. OnlineNIC offers customers and resellers domain registration, cPanel reseller hosting, business email solution, free EIM, SSL certificates and DNS services. OneProvider offers domains and SSL certificates and more. 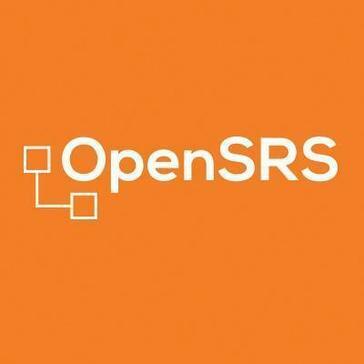 OpenSRS is a platform for resellers of domain names, hosted Email, SSL certificates, and security and privacy products. PANTHUR specializes in online communications, Australian web hosting and domain name services. ParkingCrew is a domain parking and monetization solution. Park.IO is a domain name backorders for hackers. Pheenix provides domain name backordering services. ProfileBuilder.com is a domain registrar for start up companies and small business owners. PSI-Japan is a domain registration service provider. PSI-USA provides TLDs and gTLDs services to individuals and businesses. Public Domain Registry is a provider of domain registration solutions. Realtime Register is a domain name reseller and real-time domain registration solution. Rebel is a web and email hosting solutions provider. REG.com provides domain name registration and a free website building solutions. register365 offers domain names and web hosting services. Register.be offers domain name registration, web hosting, and e-mail services. Register.eu offers domain name registration along with hosting and email services. Register.ly is a web hosting and domain management service provider. RegTek is an affordable domain name registration with many free services including private registration, DNS, Email and URL forwarding. Regtons provides quality registrar solutions and services. SafeBrands offers registrations in all global TLDs, together with a full monitoring and recovery service. Safenames specializes in corporate domain portfolio management and online trademark infringement protection services. Saturn Domains is a privately-held organization based out of Richmond Hill, Ontario, Canada. Saturn Domains has data centres based out of the United States, the United Kingdom, India, and Hong Kong. The mission at Saturn Domains is to help every client get their website or business off the ground. Nowadays, a website is the first point of reference when it comes to doing business. That's why Saturn Domains does its best to keep its customer's websites up and uninterrupted. Saturn Domains offers businesses of any size hosting solutions that are fast, reliable, and easy-to-use at a low price. Saturn Domains values each of its customers and provides top-notch customer service from our headquarters in Richmond Hill, Ontario, Canada. Almost all of our services are backed by a 99.9% uptime guarantee and 30 day money-back guarantee. We're sure you'll be satisfied! SchlundTech offers domain registration and management services. SmartName is the industry standard for domain name parking and monetization services. Speednames offers email, web hosting and DNS services. Spirit Domains is a domain registration and management solution. Stork Registry helps individuals and businesses create domains with its domain registration services. Domain name reseller plans reselling over 20 domains extensions. Domain name registration for new and classic domain extensions. YesNIC is a Korean domain registration service provider. Zeit.Domains enable the user to pick any domain with hundreds of supported TLDs and GTLDs! Zoneedit is a free service provider of dynamic DNS, managed DNS, and other DNS management and mail-related tools and services.